TRUE RED, WHITE AND BLUE. 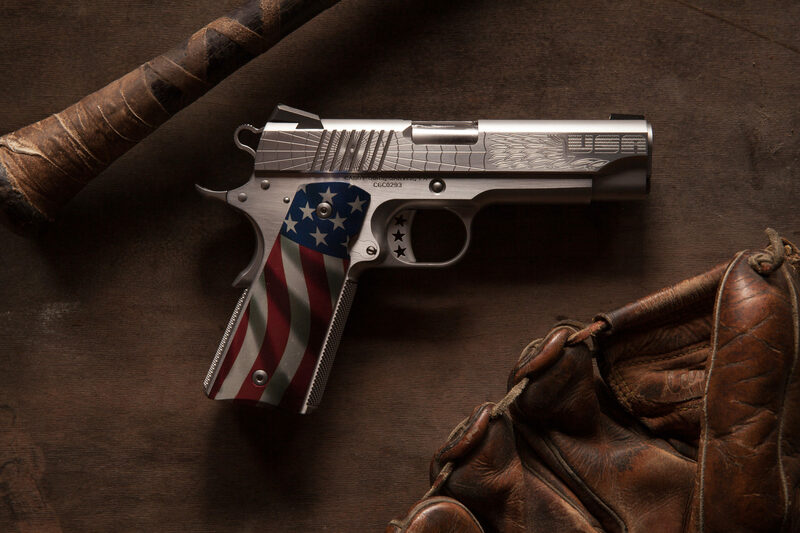 CABOT GUNS INTRODUCES THE AMERICAN JOE COMMANDER – AN EVERYDAY CARRY PISTOL. The American Joe Commander powerfully depicts the hard work, innovation and freedom on which America was built and, as it does so, crosses the rubicon between firearms and art. The engraving design on the American Joe Commander mirrors that of its full-size brother and was commissioned from rock star designer Joe Faris. Joe’s creative talents birthed an intricate design which aptly captures a piece of true Americana and serves as a tribute to the enduring strength of America and industry. America was built on hard work, innovation and freedom and so is the American Joe Commander. The tire tread “USA” at the front of the slide represents the speed of the bullet leaving the barrel as well as the Detroit Automotive innovative spirit which was once at the heart of America. The wings embody a burst of Freedom as the tire peels out, shifting into a Web pattern that is traditionally Tattooed on the elbow and is as fitting as the pattern on the slide (the elbow of the gun). A spider’s web in nature is one of the most complex patterns and is broken-down every day but built back up every night. Similarly, in America, we continue to build just as our forefathers did for generations. The American Flag hand grip represents the strength of this country as your hand wraps around the magazine with fortitude and resilience. 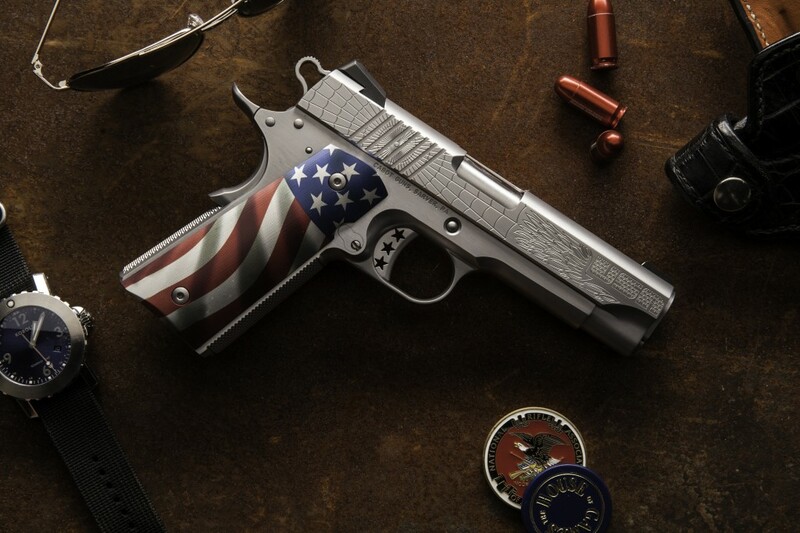 This gun is built purely in America and is shaped out of the finest block of steel. The American Joe Commander is true Red, White and Blue.